Everyone, stop what you are doing — Beyonce Knowles interviewed her sister, Solange Knowles. 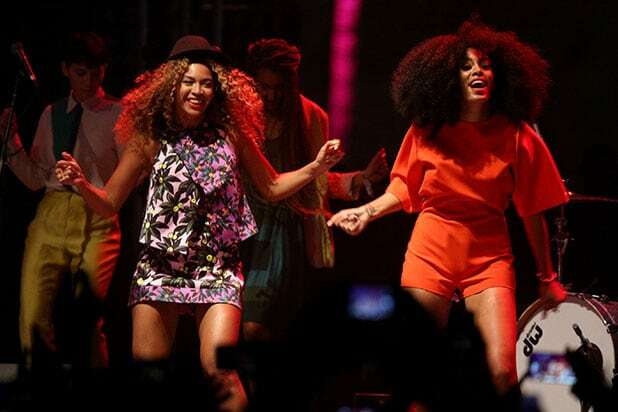 The sis-to-sis interview covered the younger Knowles’ new album, “A Seat at the Table,” which debuted last September. The Interview magazine piece delved deep into the inspiration for Solange’s songs, which range from her incredibly famous sister to the real estate boom in Miami. The interview also revealed that Solange would lock herself into her room to play drums and write songs when she was just a kid, in a neighborhood that produced Scarface, Debbie Allen and Phylicia Rashad. Solange also writes her own lyrics, co-produces her own tracks, stages all of her performances, and comes up with all of her own choreography, the interview revealed, all while raising her son Julez (whom she had at the age of 17 with her former husband Daniel Smith) with her new husband, Alan Ferguson. And if you ever wondered what kind of sister Beyonce is, read on. See below for the seven highlights from Beyonce’s interview with her sister, Solange. Beyonce reminisced of a moment when she introduced her sister to Nas, which made Solange cry and act like “a fool.” The only other person that would evoke a similar reaction from Solange, she said, would be Diana Ross. Solange responded that she gets a lot of her inspiration from society’s labels and from her sister. Beyonce asked her sister where the title for one of her tracks, “Cranes in the Sky,” came from. Solange explained that she wrote the song eight years ago, when she was just coming out of her relationship with her son’s father, who she had been with since Junior High, causing a difficult transition period in her identity.